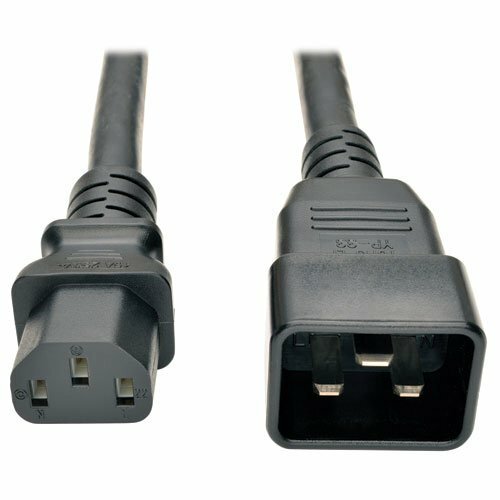 The 3-foot (1-meter) P032-003 Heavy-Duty C13-to-C20 Power Cord is perfectly suited for connecting high-output computers, servers and other network devices that require heavier-gauge cabling to a PDU, UPS or other compatible AC source. The UL-listed P032-003 features a female C13 coupler on one end and a male C20 plug on the other. The SJT cord has three 12 AWG conductors and is rated at 15A. Its molded connectors are designed to work reliably for a long time.